It was the first U.S. Open Cup game ever played in the state of West Virginia, and the home team made the most of it, as Daniel Smee’s header from a corner kick in the fifth minute was all the West Virginia Chaoswould need to hold off the Fort Pitt Regiment, 1-0 at Schoenbaum Stadium. For a complete game story, you can see Charleston Daily Mail Tom Bragg’s recap here. The Chaos will now travel to Pittsburgh, for a second round encounter with the Pittsburgh Riverhounds at Highmark Stadium, next Wednesday night, May 20. It will be a 7 p.m. kickoff. The Riverhounds have two former Chaos players on their roster, current USL’s leading goal scorer Rob Vincent and their most capped player, Sterling Flunder. You can find recaps of all of the games last night in the U.S. Open Cup’s first round on U.S. Soccer’s web site. In addition, the brackets have been set to include the potential third round matches. What we know, according to Thecup.us, the winner of the Pittsburgh Riverhounds-WV Chaos match will take on the winner of Wilmington Hammerheads (USL) vs Chattanooga match on May 27 at an undeterimined site. The fourth-round draw has not been deterimined yet that will provide the opponent for the winner of the third round match. It appears it will likely be a NASL or MLS team. We’ll have to just take it one week at a time. 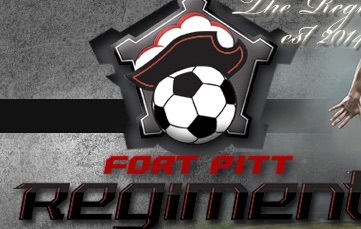 As for the Regiment, they will now prepare for the NPSL opener, on May 29 at Indiana Fire. They also announced yesterday that they will be playing all home games at Upper St. Clair Stadium (Upper St. Clair High School) in the South Hills. Their home opener vs Michigan Stars is slated for Saturday, June 7, 2 p.m. kickoff.